Do you think that your mutual fund portfolio is performing up to mark? Are you struggling to build your mutual fund portfolio? If yes you are at right place, today I will share detail about 10 Best Mutual fund that gave outstanding returns in past. Adding these mutual funds in to your portfolio will surely prosper your portfolio. It is very difficult to predict direction of stock market in current conditions, However we are here with few best mutual fund schemes of 2015. These mutual funds are selected purely on past performance basis. All these mutual funds are falling in high risk category. 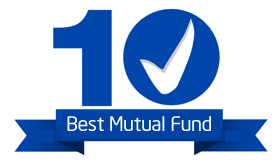 These 10 Best Mutual Funds can fetch very good return. Sundram SMILE Fund is open-ended growth mutual fund. Minimum investment amount in this fund is 5000 Rs/-. This fund makes investment in small and mid-cap equities. Canara Robeco Emerging Equities is open-ended growth fund. Main objective of this fund is generating capital appreciation by making investment in mid-cap stocks. DSP BlackRock Micro Cap Fund – Regular Plan is open-ended diversified equity growth mutual fund. This mutual fund has proven track record of giving good return. SBI Small & Midcap Fund is small cap and mid cap mutual fund. It is open-ended growth mutual fund with very good prospective. Reliance Small Cap fund is high risk mutual funds. This mutual fund primarily invests in small cap stocks. Exit load of this mutual fund is high 2%. L&T Equity Fund invests in blue chip stocks. L&T Equity fund is open-ended growth fund. This diversified fund falls in average performance category. JM Equity fund is open-ended growth fund. Minimum investment amount applicable under this scheme is 5000 Rs/-. Exit load applicable is 1%. JPMorgan India Equity Mutual fund is diversified mutual fund largely making investment in large cap stocks. This mutual funds fall under average return category. L&T India Large Cap fund is well diversified large cap fund. This mutual fund is open-ended growth fund. UTI Mastershare is dividend fund. This mutual fund makes investment in equities, convertible debentures & bonds. Majority of investment done by this scheme is in Large cap equities. Also ensure to adopt systematic withdrawal plan while redeeming mutual funds. It is not advisable to pull out all your money in one go. Disclaimer: Mutual Fund Investments are subject to market risks. Please read the Scheme Information Documents and Statement of Additional Information (SID & SAI) carefully before investing. I am 25 years old, will complete 26th in coming August. I am currently investing in 4 mutual funds through SIP,2 open-ended equities and 2 ELSS. Just started one month back. I want to invest 3000 per month in one more open ended equity fund for 3 years only. Can you suggest something for me? Are my current investments are worthy? Your current Investment are worthy.You can further invest in UTI Top 100 Fund. condition the number of funds should exceed 5, maximum 6. Horizon is for more than 15yrs. Kindly also tell how to track and what optimum time to change,stop or switch. Thanking you in anticipation. d) I like HDFC stable- moreover I am an NRI and already created HDFC Direct account- so easier to open a new SIP through HDFC- am I being foolish by investing only in HDFC AMC? 5) For debt- I am looking at PPF + NRE fixed deposits 1-2 years (both tax free)- should I consider liquid/ short term debt mfs? Mutual Funds selected by you are OK however I feel that you should continue HDFC Prudence and HDFC Top 200. You can stop further investment in HDFC balance fund.Start Investing in Franklin Bluechip Fund. Apart from Mutual funds you should invest in equity also.For the short term, I suggest investing in Fixed Deposit. sir, i m student and please tell me pnb fd plan best for me or not.i mean what is benifit for this.